The app on the Mac allows you to remotely monitor up to 9 multiple live video and audio feeds with top notch performance and super easy control for AXIS IP camera. Unlike the ordinary applications, It not only gives the user many more options for operation, but enables to quickly and easily add new models right after user’s request through our open architecture software. 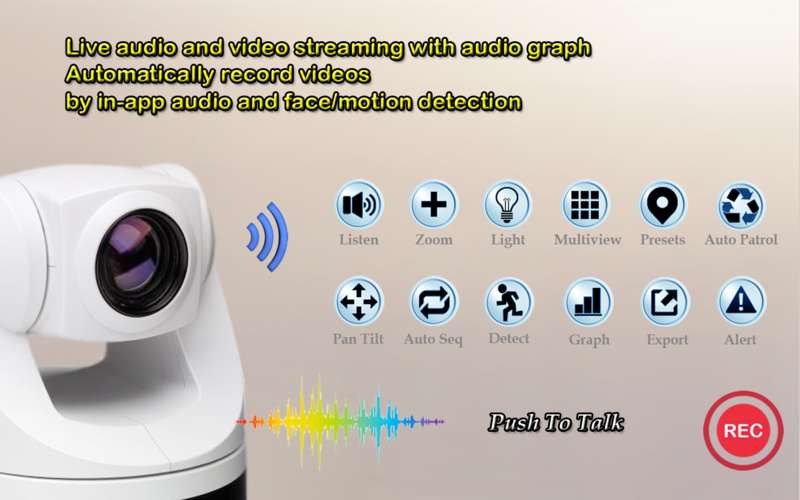 Just download and click this app to listen and watch your camera virtually from anywhere with Wi-Fi coverage or even cellular data networks. Watch this screen shots to get a better understanding of what the app is all about. “Good quality audio as much as original Axis client in my PC. I realized that I needed to select G711 PCM in audio settings of my cam setup after contacting their support guys. Perfect customer support! Many thanks"